Humaniq invites developers to participate in a hacking contest for a chance to win the $5000 "Humaniq Crypto Prize." Humaniq announces the start of the "Humaniq Crypto Prize" contest during the Crypto Economy World Tour in Amsterdam where Daria Batukhtina, Technology Evangelist of Humaniq, will be presenting the results of a study conducted in five African countries. The above report and the launch of the Humaniq Crypto Prize will be part of a panel discussion dedicated to tokenizing ecosystems in existing industries. Humaniq is focusing its blockchain-for-good-platform on empowering the unbanked people of the world. The company has designed an app to foster networking and collaboration and to provide a more equitable access to financial services, cash transfers and social programs to the people of Africa. The studies that the Humaniq team have conducted in the region revealed the causes underlying financial isolation in emerging nations and helped define the ways that blockchain technology can improve the lives of millions of people out there. “In our view, charity, job marketplace, and finance sectors provide the greatest opportunities. We plan to boost a remote work service to a decentralized exchange that would allow the workers to buy and sell their working hours to anyone. Also, we are creating new opportunities for micropayment systems along with micro-lending connecting donors directly with organizations and contractors that will be doing the actual work” - said Daria Batukhtina, technology evangelist at Humaniq. 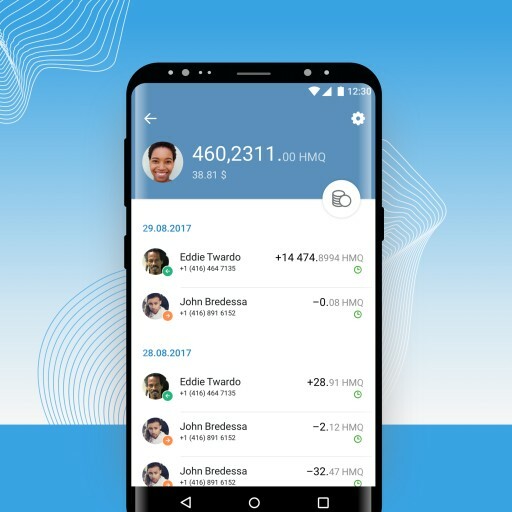 The Humaniq app provides its users with access to the next-generation financial services. The application features a secure built-in messenger with end-to-end encryption and a mobile wallet with its own HMQ cryptocurrency. Humaniq has opened its unique API to partners as part of the plan for further development of the existing services and diversification within the Humaniq ecosystem. Daria Batukhtina will introduce to the developers the ongoing features and opportunities, such as bot assistance, unique approach to emission, referral system and a marketplace for partners. Humaniq has a unique approach to security from the wallet level upwards using a comprehensive Proof-of-Human system which incorporates biometric identification, PIN codes and behavioral scoring. The app also analyses users’ online presence including social interactions within the app itself. In order to comprehensively test security levels, Humaniq intends to invite developers to participate in a hacking contest named "Humaniq Crypto Prize." The goal of this contest is to hack a certain Etherium- based Humaniq wallet and transfer some funds to a secondary wallet. The first person who can provide the transaction hash will be awarded $5,000 ($2,500 from the target wallet to be hacked and an additional $2,500 to be paid after the win confirmation). To obtain the prize the participants are required to also provide a detailed list of system vulnerabilities and bugs they would have discovered along the way. The "Humaniq Crypto Prize" will be launched by Daria Batukhtina during the Panel “ICO 2.0” just after 16.40 CET on 30 of January 2018 and will end on 7 February 2018. The results will be published on Humaniq's social media platforms.